Note 1: There are two browns from the alternator to the solenoid, some schematics showing them as two thick output wires i.e. 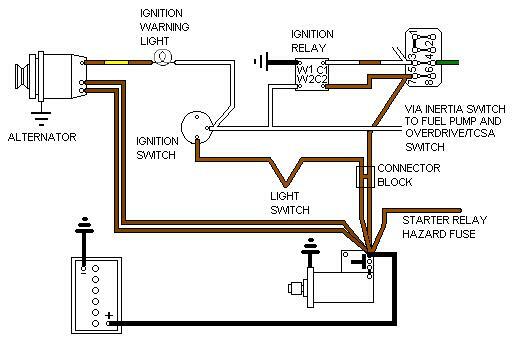 using a '' alternator, and some showing one of them being standard gauge i.e. using a '' alternator. Note 2: Some schematics show two thick browns up from the solenoid to a white connector block by the fusebox (shown below, arrowed), to increase current carrying capacity. 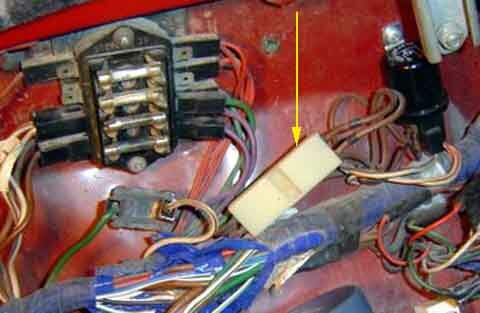 A third brown from the solenoid feeds the starter relay and hazard flasher fuse.